These quick beef and rice burritos are packed with hot and spicy flavour that will satisfy the hungriest appetite. 1. Preheat the oven to 190ºC (170ºC for fan assisted ovens), gas mark 5. Line a baking sheet with foil. 2. Heat half the oil in a large non-stick frying pan over a medium heat. Add the mince and cook for about 10 minutes, stirring frequently until browned and cooked through. 3. 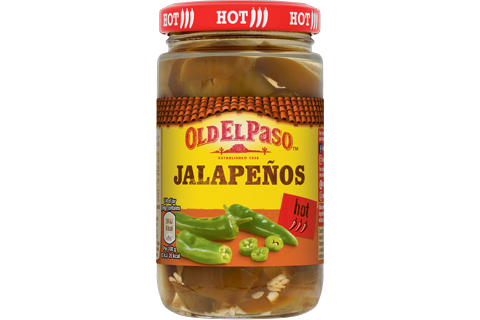 Stir in 1 tablespoon of the taco seasoning mix, 2 tablespoons of the sriracha sauce, the jalapeños and rice. Cook for 2-3 minutes, stirring all the time, until the rice is heated through. Cool for 10 minutes. 4. Place 1 tortilla on a chopping board and spread over some of the remaining sriracha sauce. Spoon 1/8 of the mince mixture in the centre. Top with a sprinkling of the grated cheese. Fold in the sides towards the centre then roll up tightly to completely enclose the filling. Secure with a wooden cocktail stick. 5. 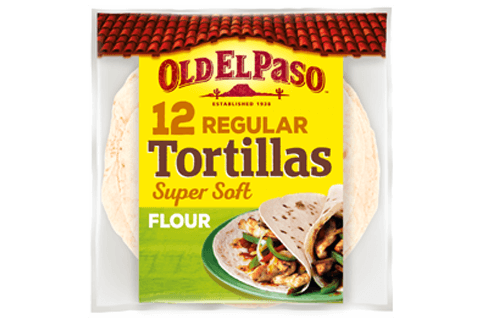 Repeat with the rest of the tortillas, sauce , mince mixture and cheese to make 8 burritos in total. Place on the baking sheet. 6. Mix the remaining taco seasoning and oil in a small bowl and brush over the top of the burritos. Bake for 12-15 minutes until crisp and golden. Remove the cocktail sticks from each burrito. Serve topped with soured cream, extra sriracha sauce, shredded lettuce, diced tomatoes and chopped green chillies. • Sriracha sauce is a hot Thai sauce made from chilli peppers. 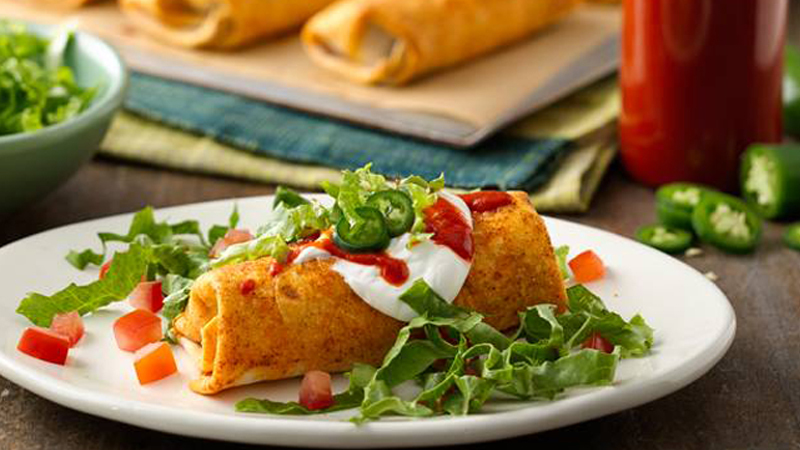 It packs a real punch so if you prefer milder tasting burritos use sweet chilli sauce instead. • Try serving with shredded red cabbage slaw as a change from salad.